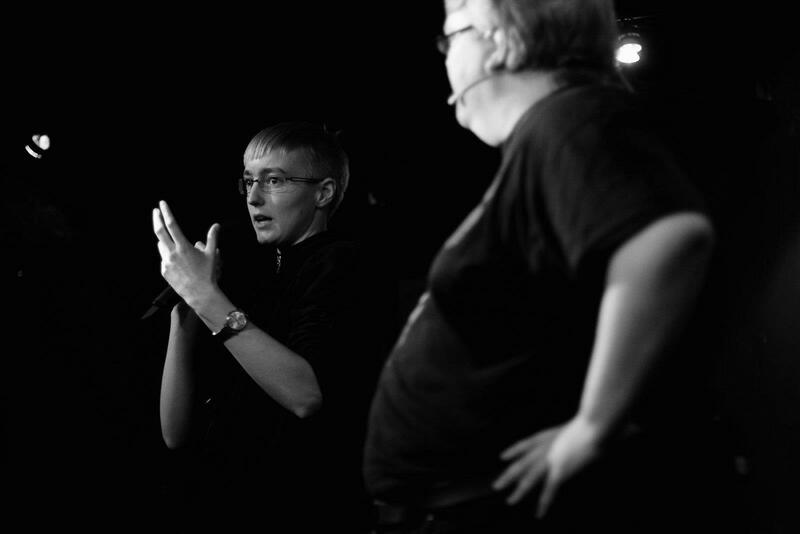 All presentations from Nordic Larps Talks Helsinki 2012 are now available on the site. Lizzie Stark is a freelance journalist and author of the narrative nonfiction book Leaving Mundania, which explores larp from a variety of angles in the US and Nordic countries. Her writing has appeared on The Today Show website, io9. and in The Daily Beast. She holds a masters journalism from Columbia University and an MFA in fiction writing from Emerson College and is the founder and editor-in-chief of the online literary journal Fringe, which is dedicated to political and experimental literature. Jesper Bruun (Cand. Scient) is a science education researcher who has made contributions to the Nordic larp scene by writing academic articles and developing innovative games. 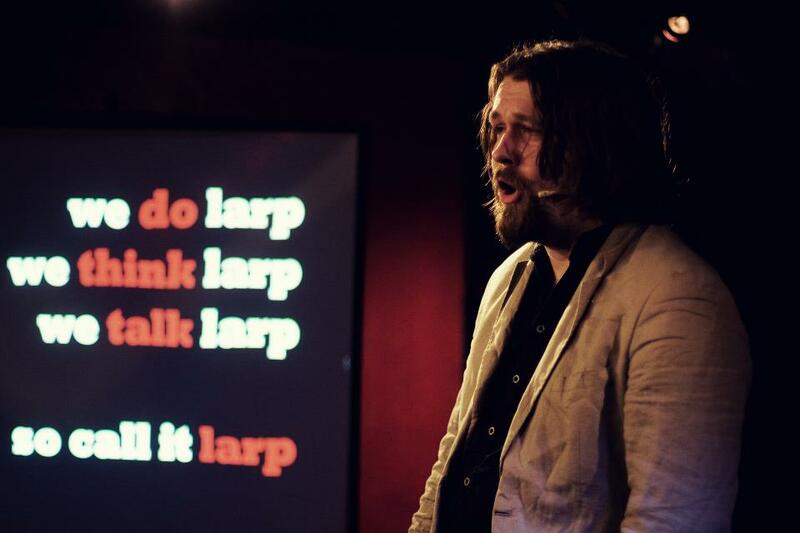 His current interest in larp revolves around using non-traditional ways of communication in larps and using pre-larp workshops for teaching participants to play games. Both interests are represented in the tango roleplay In Fair Verona. Played around with larp and roleplaying all your life? 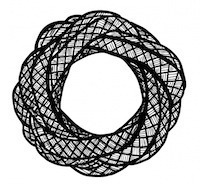 Want to make so good use of all the experience gained after entering all kinds of strange worlds? Well, at least Mikko Rautalahti and Andie Nordgren has done just that and are now employed at the video game studios Remedy Entertainmet (Alan Wake, Max Payne) and CCP Games (Eve Online, World of Darkness). Here interviewed by Johanna Koljonen about their thoughts about their work today and it’s connections to their roleplaying background. Mikko Rautalahti plays role-playing games because they’re awesome. When he’s not pretending to be somebody very interesting, or enabling others to do the same, he writes. Turns out that can be a real job! 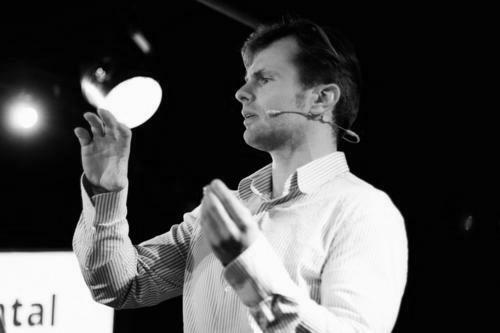 He’s currently employed at Remedy Entertainment as a senior writer, where he makes video games like Alan Wake. To the best of your knowledge, he has never punched a baby. 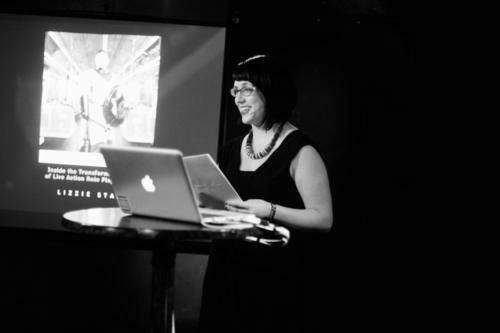 Johanna Koljonen is a writer, Radio and TV host, critic, and a popular lecturer on larp and related topics. 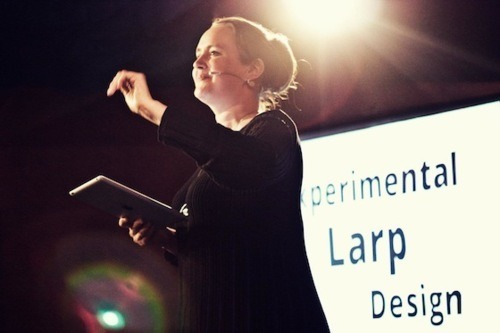 Her groundbreaking larp criticism, in essays like “Eye-Witness to the Illusion: The Impossibility of 360° Role-Playing” and “The Dragon Was the Least of it: Larp As Ephemera and Ruin” are widely quoted in the field. 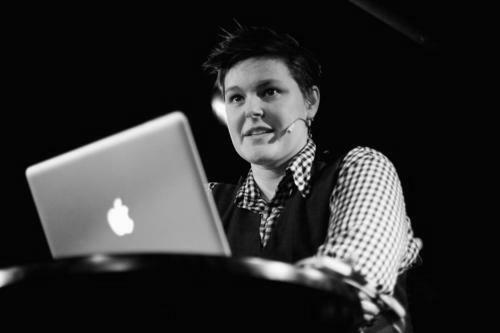 She is a co-founder of the TV, radio and web production company Rundfunk Media AB and has a BA in literature. 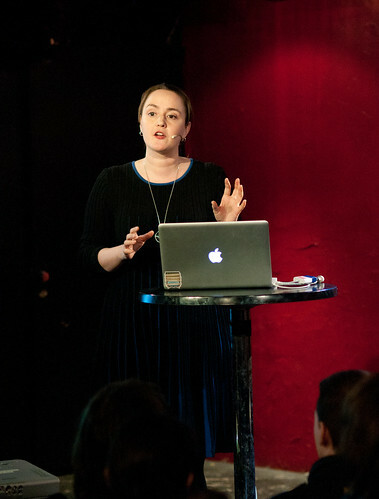 She has hosted several popular radio shows such as “P3 Kultur – Nördorama med Johanna Koljonen” and “Jättestora frågor med Johanna Koljonen” on Swedish national radio and writes columns for Dagens Nyheter and Fokus. She is the scriptwriter of the Oblivion High series of graphic novels and the co-author of the book-length larp autopsy Dragonbane – The Legacy. She also won the innovator category of the The Swedish Grand Journalism Prize of 2011. 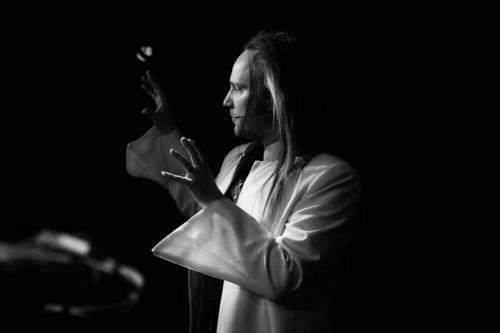 Jamie MacDonald is a transnational Finnish-Canadian artist in theatre, performance art, stand-up comedy, drag performance, punk music, writing, video, and larp. He started out in Toronto with a fairly traditional education in drama-based theatre as an actor and director, but then moved to Finland, where he couldn’t make heads or tails of the language. This move catalyzed an interest in physical theatre and dance, which is where Jamie focused intensively for the next half-decade, training in about half a dozen well-known theatrical methodologies from butoh to biomechanics. Together with Aarni Korpela, Jamie is the creator of Walkabout, a long-term crossover project between larp, theatre, and performance art. Their latest project, The Lovers’ Matchmaking Agency, ran in Oslo, Copenhagen, and Helsinki in the summer of 2012. 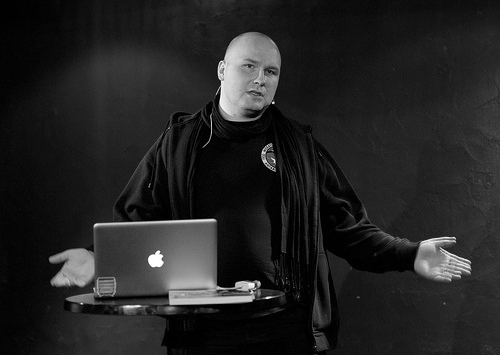 Mike Pohjola is a writer, a game designer, an entrepeneur and an activist. He has written two novels, three table-top roleplaying games, a manifesto, several theatre plays, larps at art festivals and for fun, some short films, digital games, interactive projects, and lots of other stuff. 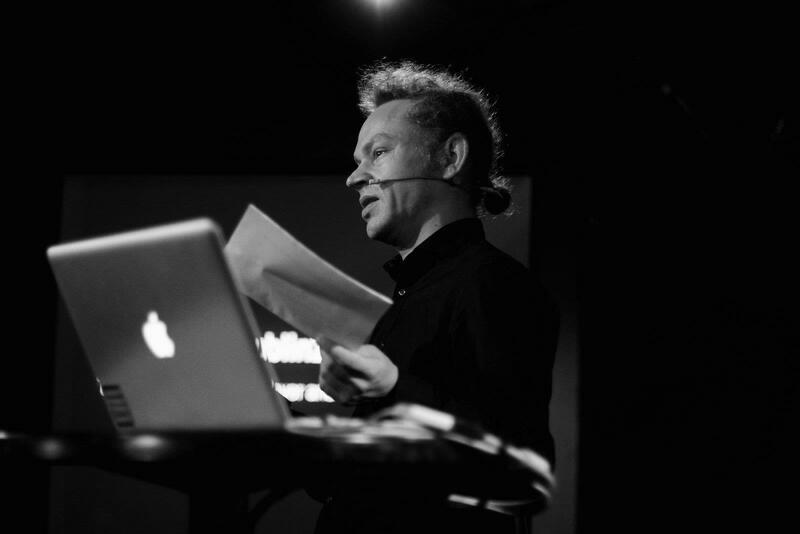 He has founded two award-winning companies, that together have won an International Emmy Award for Best Interactive TV Service (The Truth About Marika), two Interactive Rockies (Conspiracy For Good) and a Prix Europa (The Forest of Babel). He’s currently working on his third novel 1827 – Inferno about the Great Fire of Turku. From the esthethic view of being a god in the immigrant camps of Finland to being on top of the digital game era and doing the tango with vampires in the Winter Garden. Nordic Larp Talks Helsinki 2012 – was an evening of entertaining, thought-provoking and mind-boggling lectures about projects and ideas from the Nordic tradition of live action roleplaying games. The talks where presented by writer, radio & television host as well as winner of the innovator category of this years The Swedish Grand Journalism Prize award, Johanna Koljonen. It was live streamed on nordiclarptalks.org and all talks are now available to watch with the player above. During the next days they will be published as separate clips. NLT 2012 Helsinki was part of the A Week in Helsinki-program prior to the roleplaying conference Solmukohta. Prior to the talks we livestreamed the presentation of this years Solmukohta book, States of Play by the editor Juhana Petterson. You can download the book as pdf at the site nordicrpg.fi. Nordic Larp Talks Helsinki 2012 took place on April 11th at the PRKL club in central Helsinki, Kaisaniemenkatu 4. Hosted by Johanna Koljonen and produced and livestreamed by Petter Karlsson & Björn Falkevik from Falkevik & Danehav. Big thanks to the whole A Week in Helsinki crew for making this happen.